"It is 1965 and Winston Churchill is dead. Not that something as minor as the grave is going to stop the former Prime Minister from asking a few pointed questions of his friend and long-time physician, Lord Moran, who is preparing to publish a potentially damaging memoir of their time together. A battle of wit and wills is about to take place between two old friends, both with an eye on posterity. History as, they say, is written by the victor... and they just rang the bell for round one. As the two men explore their friendship, their roles in world-shaping events and the chasm that often separates the remembered man from the real, life-changing questions hang in the balance. Is it really publish or be damned? 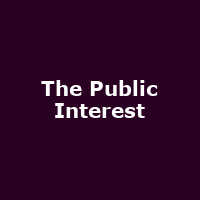 And what is really in the public interest?"